If you or someone you love was injured in an accident with a large commercial truck, you may find yourself seriously injured. In fact, trucking and large bus accidents accounted for almost 100,000 injuries in 2008 alone. After your accident, a few critical steps can make a huge difference in the outcome of your trucking accident case. After your trucking accident, it is critical that you contact 911 and have an ambulance at the scene of the accident. An automobile is not equipped to handle an accident with a large 80,000 pound big rig and as a result, there may be traumatic and catastrophic injuries to the passengers in your car. Even if you feel fine, it is absolutely necessary to have a medical professional evaluate your condition before returning home. Many life threatening injuries such as spinal cord injuries, traumatic brain injuries and soft tissue injuries can worsen over time and become chronic and debilitating. It is important to have the police arrive at the scene of the accident and fill out an accident report. The police will be able to evaluate the situation and determine if the truck driver is under the influence of alcohol or drugs and who was responsible for the accident itself. Even if you believe that you are to blame for the accident---this may not be the case. A thorough police report is essential to building your trucking accident case. Anything you say to the truck driver or other witnesses after the accident could come back to haunt you. Trucking companies can twist the well intentioned phrases you may say after the accident and use them against you---should your case go to trial. As a result, it is best to avoid speaking to the truck driver at all. 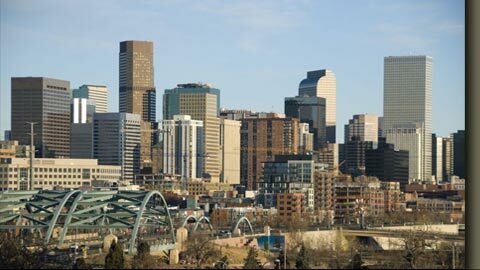 Instead, focus on obtaining medical attention and call a Denver trucking accident attorney immediately. Everyone has a camera phone these days, and this little tool can provide your attorney with great evidence to use in court. If you are able to, snap a couple of photos of the vehicles, the drivers and the witnesses around you. Try to include things that may have contributed to your accident and if possible take photos of the damage as well. These steps can help your Colorado trucking accident attorney build your case against the truck driver and the trucking company. The more information you can provide for your attorney, the easier it will be for your trucking accident attorney to get you the compensation you need after a devastating trucking accident. To speak with Denver semi truck accident lawyer Saul Sarney about a truck accident injury or loss, please call our injury law firm at 303-759-3300 or contact us online. We do not charge a fee to discuss how we can help you meet your needs. 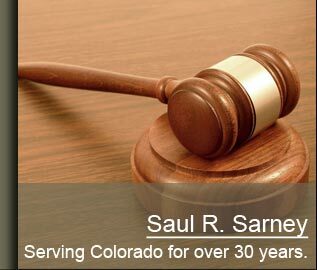 Denver personal injury attorney Saul R. Sarney represents clients facing personal injury and wrongful death lawsuits, and denial of insurance coverage claims throughout the greater Denver metropolitan area and areas north, including the cities of Lakewood, Aurora, Englewood, Littleton, Arvada, Greeley, Morrison, Boulder, and Broomfield, as well as Douglas County, Denver County, Jefferson County, and Arapaho County. We also represent clients in other states including Kansas, Nebraska and New Mexico.